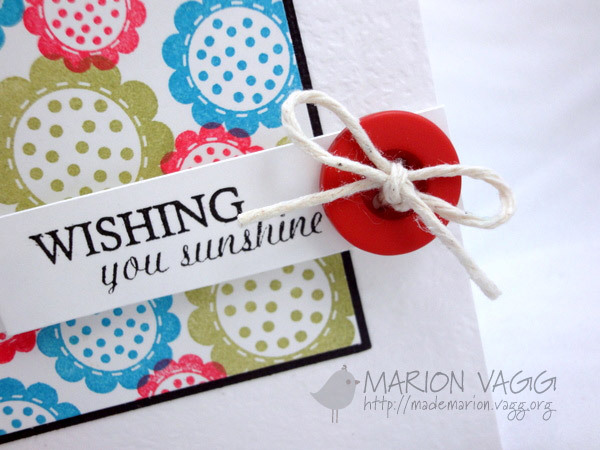 Today I am sharing with you a card that I have made with Jane Beljo’s “Little Miss Mia” stamp. Jane very kindly sent me her Little Miss Mia stamp a couple of months ago and I must say that Miss Mia has been patiently waiting to be inked all this time! But I got a chance to have a play the other day and she stamps like a dream. I had so much fun doing a little paper piecing too – right down to her socks! 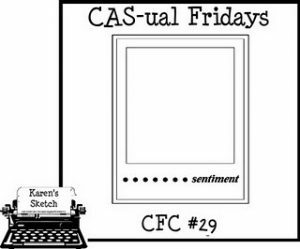 I am entering her into the current CAS-ual Fridays Challenge – CFC29 – which is to use this sketch. I created the little scene behind her and then raised her up on some foam dimensionals. I wanted the scene to look like a polaroid photo. Her skin and hair are coloured with Primacolor pencils and Gamsol. 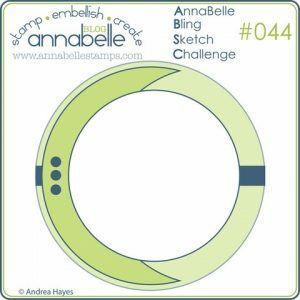 Welcome to a sketch challenge at AnnaBelle Stamps. Hope that you can find time to play along with us. My offering this week is not a card, but a bauble to hang on the Christmas Tree. Something a little different and I love how it turned out. For those of you who took the recent Holiday Card Boot camp, you will see I got a little of my inspiration from there. 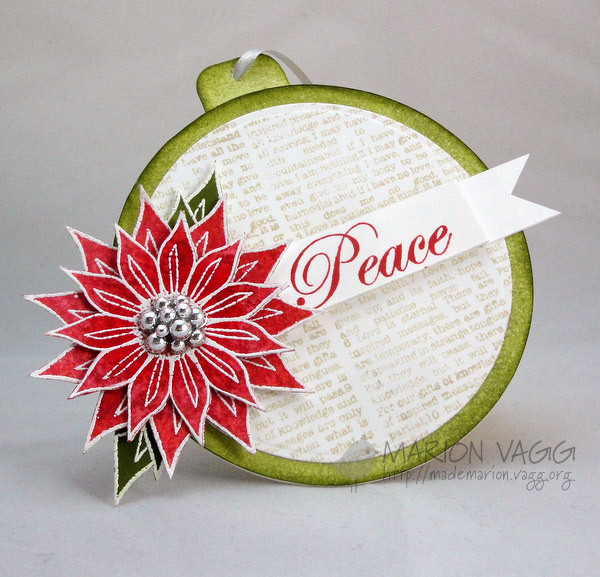 I used the poinsettia flower from the “Squared Posies” set which I heat embossed in white, then coloured with Fired Brick Distress Stain and spritzed with pearlised water. This is the first time I have used distress stains and I LOVE them! Will have to add some more to the little stash I have I think! 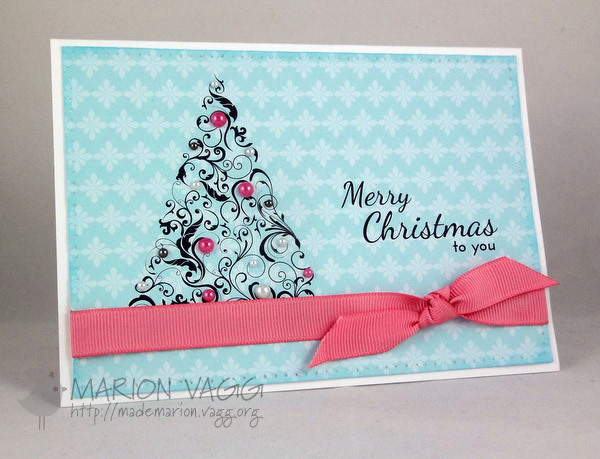 The text in the background is BBD #6 set and the sentiment is from the “Holly Branch” set. I added some shine with a pile of silver metallic sprinkles. Hope that you can join in and play along – the winner will receive a $15 Gift voucher to the store. 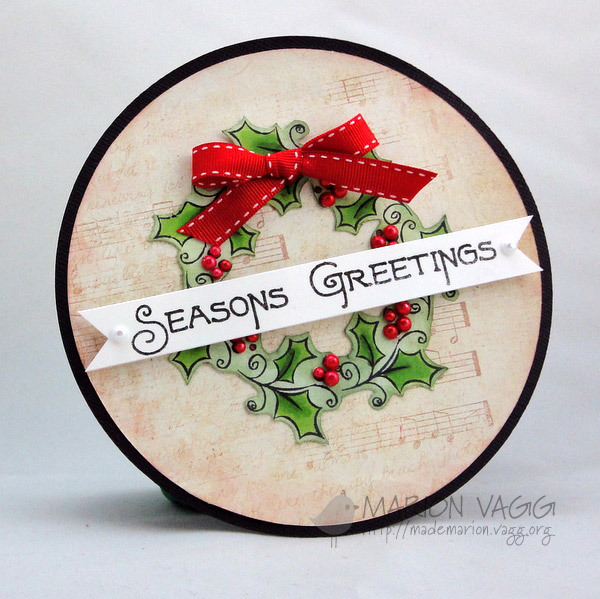 Be sure to check out what the rest of the DT have created including our Guest Designer Sue McRae. All the DT Girls links are on my sidebar – why not leave them some love? This month at Print Candee the Creative Team are whipping up some fun projects with the theme of Holidays. I thought I would try a non-traditional coloured Christmas card. I used the swirl tree image from Christmas Design Elements Clipart (Pink Pueblo) and the background paper is from the Jump Digital paper pack (Digital Potpourri). I layered the digital images up in Adobe Illustrator, but it could be done just as easily in Word. I generated my own sentiment. To finish, I added some pearls, ribbon and paper pierced a border with a swoosh of ink around the edge. Too easy! Friday has rolled around again, so that means it is time for another challenge at AnnaBelle Stamps. 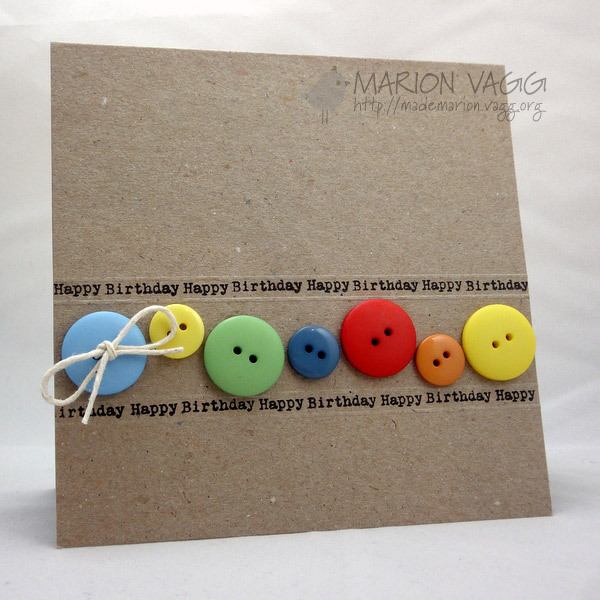 Buttons and bows…who doesn’t love to use buttons and bows? I went very clean and simple for this one. I am entering this into the current Wee Memories Challenge #76 – Birthdays and Parties. The sentiment is from the AnnaBelle Stamps “Tree-MEN-dous” set. And while I was at it, I made another card, but my inspiration for this came from the CAS queen Cristina Kowalczyk. 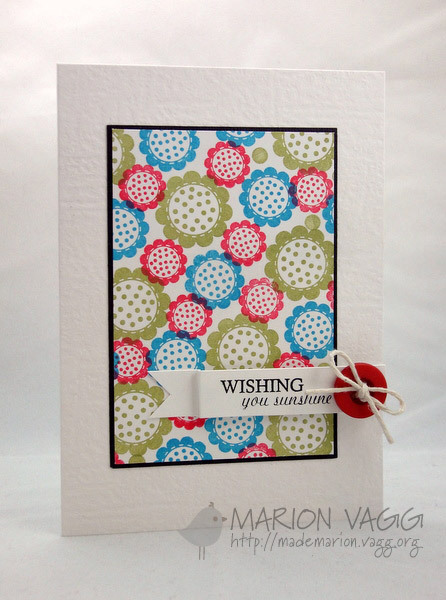 I used the “Dotted Flowers” stamp set to create this one. Thanks for stopping by and be sure to check out what the rest of the DT have created, including our Guest Designer Sue McRae. Their links are on my side bar. Hope you can play along with us! 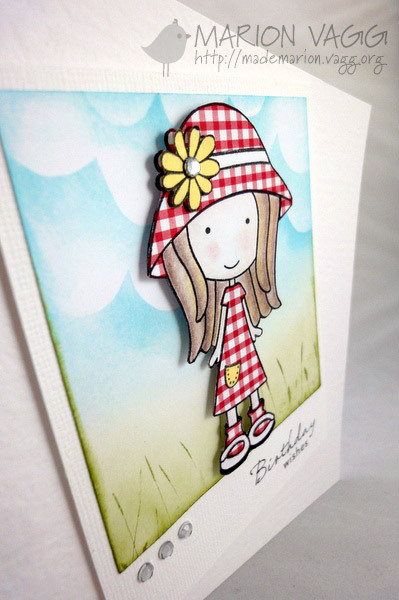 Hello again and welcome to another AnnaBelle Stamps Blog Hop. You should have arrived from the sweet and talented Patti’s blog. If you want to start the hop from the beginning, head on over to the AnnaBelle Stamps Blog. Are you in the mood to win a fabulous stamp set? Well read on. 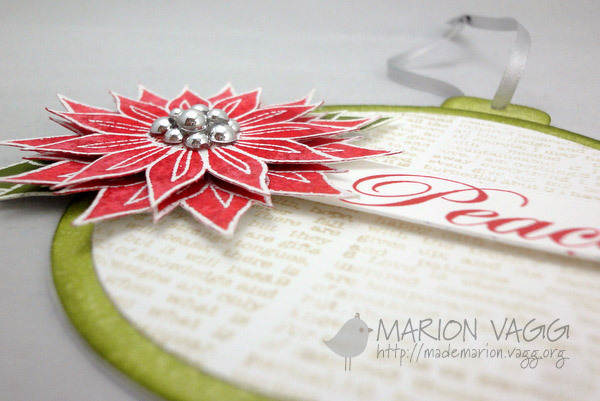 For today’s card, I have taken some inspiration from a couple of cards that Jennifer McGuire has showed us in Holiday Card Boot Camp 2011. I have been enjoying the classes, but have not had a chance to have a play until now – been too busy writing school reports! Would you believe that this is my FIRST ever shaped card? I made the holly wreath (I did a little tutorial a while ago – you can see it here) and then I cut it out…was a bit fiddly, but I think worth it. Coloured it in with Copics and added some pearls (that I coloured in with Copics as well as I ran out of AnnaBelle cherry sprinkles!) I did a little background stamping with BBD #6 (LOVE that stamp set). Thanks for stopping by…and now you are hopping over to the AnnaBelle Blog. Don’t forget to add your name to the inlinkz below for your chance to win this fabulous stamp set! Make sure you visit all the DT and leave them some love as well as this month’s guest designer Sue McRae. To keep our hop as fun and simple as possible, click through each of the DT blogs to see what they’ve created using this set. You can comment if you like, and leave your name using the Inlinkz on any of the DT blogs, or on the ABS blog. You don’t have to comment on all of our blogs, just remember to add your name for your chance to win the Blog Hop prize which is the Holly Branch stamp set.